Few sectors escape the threat of counterfeiting. Fuelled by the Internet and e-commerce, this illegal practice inflicts great harm on companies and endangers consumers. Six billion Euros is a lot of money. It is the amount lost by French companies each year due to counterfeiting. Six billion Euros that could be saved through identification via serialisation. France is obviously not the only country affected by this phenomenon. Worldwide, estimated losses from counterfeiting amount to between 200 and 500 billion Euros. For governments, the losses are heavy too – 8 billion Euros shaved off global GDP and 16 million Euros of tax revenues are lost – according to a study by the Centre for Economics and Business Research, which began in 2000. Counterfeiting is defined as ‘the fraudulent reproduction of a work, product, document, currency, etc.’ A number of sectors bear the brunt of this problem, prompting a constant search for an effective means of handling the matter. In 2012, Comité Colbert, which represents 75 luxury French and foreign brands, as well as the French customs, launched a new anti-counterfeiting campaign. A reminder for tourists that in France ‘the law provides for a fine of up to 300 000 Euros and three years’ imprisonment for those caught with fakes’. Despite these dissuasive ads, trade in false goods is increasing. The World Health Organization (WHO) estimated over 50% of medicines offered for sale on the web are counterfeit, endangering the health and safety of patients who buy them. This is because they can contain random mixtures of toxic chemicals or inactive and ineffective preparations, resulting in treatment failure and in some cases, death. 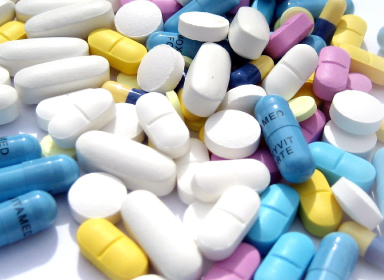 Worldwide, across all channels, trade in counterfeit medicines is believed to represent 60 billion Euros. The food industry is not spared by the phenomenon either. In 2006, two million counterfeit food products were identified. Business is still booming, particularly in recent years, with traders exploiting the window of opportunity created by the economic crisis and endangering public health. Along with counterfeiting, grey markets have sprung up everywhere. These involve the sale of products, fake or otherwise, through distribution channels not approved by the manufacturer. Just like counterfeiting, this trade is facilitated by the Internet and budget conscious consumers looking to tighten their purse strings. These fraudulent practices are increasingly difficult for authorities to monitor. An explosion in global trade flows prevents customs from controlling goods moving from one country to another, especially given the increasingly shorter deadlines demanded by consumers. Furthermore, it is not easy to harmonise laws at an international level because definitions vary significantly from one country to another. In Italy, for instance, if a product is exactly the same but with the “V” of the brand name transformed into an “A”, this merchandise is not considered a forgery, which contradicts the French definition. So what’s the best way of dealing with the problem? One solution is to identify the product – reliably, indisputably and automatically – so that 100% of goods are controlled, quickly and without the need for human verification that products are compliant and non counterfeit. To ensure identification and traceability, barcodes and RFID tags are recommended, with each product being allocated a unique, serialized code. With serialization, a product is given a unique identity from ‘the cradle to the grave’. This means that at each step in the supply chain, the origin and other product characteristics can easily be verified. Using a label containing information such as the manufacturer’s name, place and date of manufacture, renders it impossible to load a lorry, container or wagon with goods that have not received their own identity from the manufacturer, thus simplifying the work of customs officers. To make this even faster and more efficient, supply chain partners can decide to share this information directly by storing data in the Cloud. Data on production, logistics, storage and sales are then stored centrally and access authorizations are granted to companies according to their roles and requirements. This allows for smoother information exchange and is also a way to spread IT investment for data storage and data processing over the different actors and therefore significantly reduce the cost for each separate supply chain partner. Given the amount of material needed to ensure good traceability, working with a single supplier, for instance an integrator offering a specialist solution, it is possible to coordinate each stage in the process from initial publication of codes by the manufacturer to its reading at the time of sale. Large-scale serialization makes efficient identification solutions more accessible at a lower cost. In the near future, adoption will spread, to improve the fight against counterfeiting.